W Hotels of New York wants to make your stay not only memorable, but permanent. 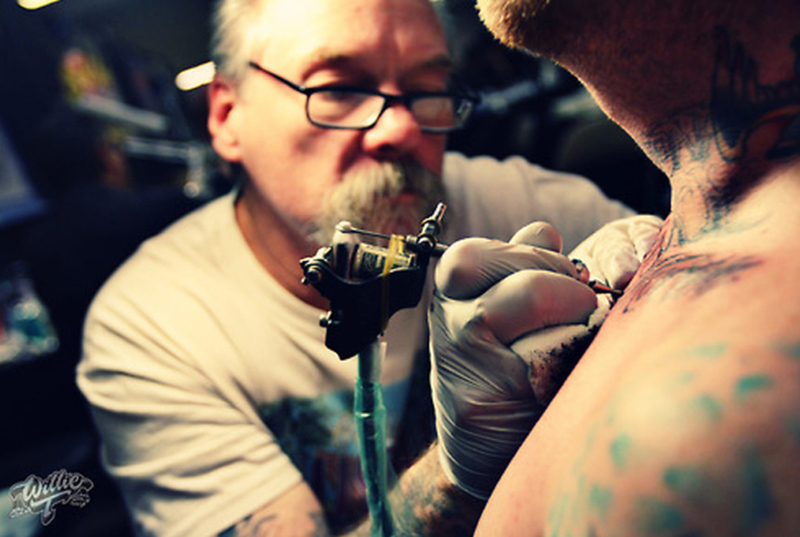 They’re launching an “In-House Tattoo Artist Series,” which lets guests skip the line and get ink from some of the world’s top tattoo artists—including Tuki Carter, Joey Pang, Sara Fabel, and Jack Rudy, who tend to have years-long waiting lists. Hotel guests will also get a reduced rate, with prices ranging from $500 to $1,600, which is far less than some of the artists typically charge. When the program kicks off on May 28, the artists will pack up their tattoo guns and shack up at the W’s “Extreme Wow Suites” for a week to work on hotel guests. No, you don’t have to get a W on your lower back. You and the artist can come up with a design of your choosing. Guests seeking a little liquid courage can find it at the sponsored Espolón Tequila bars and, if that fails, W is offering temporary tattoos, as well. Now we’re just waiting for a clever hotel to dovetail on the plan with an in-house tattoo removal program.